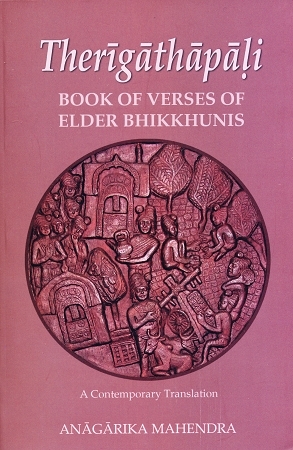 Therīgāthā is perhaps unique in the world spiritual literature in that it contains verses exclusively by liberated women, and is likely the earliest such compendium. The Elder Bhikkhunis (therī in Pāli), whose verses (gāthā) and spontaneous utterances are collected herein, represent a cross-section of the contemporary Indian society, singing songs of joy and gratitude; and extolling the Buddha, Dhamma and Sangha. The thing that unites them all - they all realized the ultimate - the cessation of lust, hate, and delusion; the liberation; the end of the cycle of becoming. The verses themselves are so powerful that they can be used as a subject of meditation to reflect on the sufferings inherent in the round of existence and generate the desire to be free. In this book, both Pāli originals and English translations are provided so it's appropriate for those who want to learn Pāli or just read the translations. A full Pāli-English Glossary, detailed Endnotes, and other indices will help the interested reader to learn more about the elder bhikkhunis, their circumstances, and their efforts.